If you missed the opportunity to move in Summer, or just didn't want to deal with the extreme heat, there is still time for a relocation. Detroit area homeowners can move in the Fall, and enjoy many benefits that aren't normally available. Frisbie Moving & Storage has put together a few of the pluses of an Autumn move and some tips to making your relocation better too. Since business declines after school starts, many Detroit metro movers offer discounts and lower rates to customers. This could potentially save you a lot of money, especially if you are going a long distance or have a large household. One of the biggest advantages of moving in the Fall is that the temperatures are lower. You won't have to worry about the house heating up with the door constantly open. Nor will you have to worry about getting overheated with all of that packing and toting. Our movers also appreciate the improved comfort of working in the cooler weather. This one has benefits and potential drawbacks too. If you have young children, it might be easier to pack everything up without having to worry about where they are and what they are doing. However, it may also be hard to relocate the kids to a new school in the middle of the year. Sweep all of the walkways, especially the ones leading to the street where the movers will be loading the moving truck. Damp leaves can be deceptively slippery. Check the weather frequently and be prepared for rain. Fall is well-known for having plenty of rainy days. You might also want to be ready to delay your move a day or two, if needed. Pack for the season. 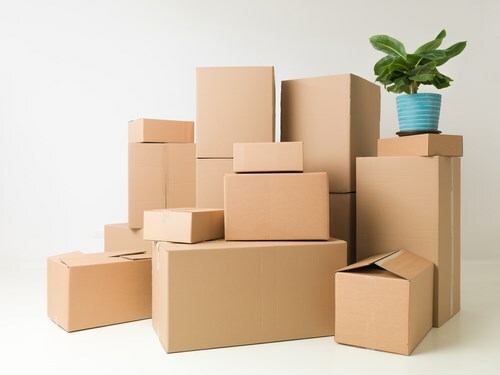 Put together a moving day box with everything you'll need for daily life during the move. This includes setting aside sweaters, an umbrella, raincoats, and galoshes. When you are ready to relocate, the Fall offers many opportunities for saving money and improved comfort. Allow Frisbie Moving & Storage to provide you with an onsite consultation with a moving quote for free. Just give us a call or fill out our easy contact form to get started today.